Nowadays, i see many people saying that host need to tunnel player. However, do theyknow the actual meaning of tunnel? from the support in gg-game.com, wecan say that "GG Tunnel allows you tofind an optimum indirectconnection to a player with 'X' ping to you when directconnection isnot available." Tunnel is restricted.You can only use tunnel when you get no ping to your opponent. (Many people misused tunnel as ping function). What is an optimum indirect connection? itis connected through the gg server. it doesnt mean that when gaming,our connection is going through gg server, instead, we still goingthrough the host. it apply whenthe player cannot see other player hosting in the room.for some reason, some player cannot see otherplayer hosting in the room and could be due to the following, 1. firewall blocking ggclient or some port. 2. their computer got problems with ggclient. Directconnection is the connection from the host to players without goingthrough gg server. it is mainly used when play in custom game/lan gamein warcraft/counter strike. Why we need it? we need direct connectionto have minimum lagness of the game. Why need to have GG Tunnel? We needit to see the game, just to have the initial connection with the host.but when gaming, gg tunnel is useless, it's all about directconnection. if we clicked someone with gg tunnel, sometimes it justlooks like no effect, and it does really no effect. it only got effectwhen u got system message for example that said tunnel 1 : 234 ping,tunnel 2 : 9999 ping, tunnel 3 : 9999 ping. in otherwords, ifsuccessful, it will appear system message. but if not successful,then ur already having direct connection with that player. What is that 3 sort of tunnel? GG Tunnel tunnel the specified people 3 times through the GG server. Now u knowall about GG Tunnel, don't ask for tunnel next time if you joined a gamebecause you already in the game, means you can see the game earlier andjoin. why bother to tunnel anymore? doesnt it make sense? 2. You will see [system message] Tunnel1 found ,blablabla. The first ping is accurate, but i have no idea why thesecond and third ping increased. It is the amount of time taken for apacket of information to transfer and receive back and vice-versa. 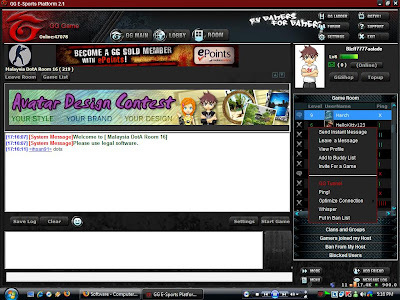 What is the use of Ping function in Garena? A tool used to create direct connection (P2P) between players in the roombut it will normally create it automatically for you. Some router userwill find it hard to get ping with most of the user, so they get X ping. | ping means the best. || ping means not quitegood. ||| and |||| ping is horrible. Why i need to know this? most ofthe time, we need prefer to join | ping game and the host need to makesure all theuser in the game have | ping with him too by using ping allin "Gamers joined my host" tab to reconfirm the ping. Why some people can see numerical number in ping instead of |, ||, ||| and |||| ? Numericalnumber is the actual and accurate ping ranging from 1 to10000, thelower the better. They can have this function because they are goldmember which u have to pay for it. However, it really doesn't matterthat whether u can see the accurate ping or not. We all know that wewont waste time just to find the lowest numerical number host for theminimum lagness. We just probably click the room and join regardless ofthe ping. How did i actually get ping with most of the user if i'm not on router? You can try to press Start Game, then ping one of the X ping in the room. it will refresh the whole ping in the room. Is it that if i get ping, i will have smooth connection? The smooth connection we all referring to are the minimum lagness ofthe game. As i said above, you will need to get | ping or low numericalnumber (below 200) with the host. Again, according to support in gg main web, "GG's Anti-spike function is designed tosignificantly reduce spikes during game." A sudden stop of screen movement when playing. I'm not so sureabout this new feature implanted in blueserver loader and ggclient. It delayed the data sent between host and players to guarantee receive the data and notlosing it somewhere in the internet. Thus, consume more bandwidth.So, it's matter of balancing between lag and spike. According to support in gg main web, it said "Game flow will definitely be verysmooth and enjoyable!" It doesn't work in Warcraft 3 TFT RPG room. So what's the main point? 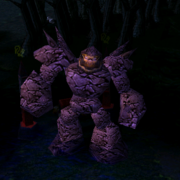 Don't even bother to use it if u r playing in Warcraft 3 TFT RPG room. OMG !! i dun really know what r u talking about in this whole thread. I'll give u a summary. Tunnel is used only when ucannot see people's game. if u see people's game, then no need tunnel.Ping is used to check/create connection with most of the user in casethe GGC didn't automatic do it for u. Anti-spike is for balancing betwen lag and spike, quite useless and seldom used. very nice.. it helps.. tnx..
how can i know other players ping,without hosting....?? it is so informative! thank you so much! I don't know how to check your own ping. can't find it on the internet.. Many guys out there doesn't really know what tunnel is, and this post is really applicable to them. As I am creating a game. I allowed players with 500 ping and below and there is no log effect at all. spike in rgc please hlp me. How to solve problem having spiky game from beginning till the end. the spike is like every second. i can see all d movements but d graphic is very rough and spiky. my net is fine i am sure because i am playing since for a long time. but this problem occurs recently. iv 2gb ram, core 2 duo wit 1gb graphic card.